Bernice Worsley Smith, passed away on April 11, 2019 peacefully encircled by her family. Born July 15, 1936, Bernice lived an exemplary life full of service, good humor, the appreciation of beautiful things and love for family. Bernice possessed an unyielding testimony of the Savior, Jesus Christ and served in many callings and responsibilities in the Church of Jesus Christ of Latter-day Saints. As a young woman she served as a full-time missionary in the Central Atlantic States Mission. She later served multiple missions with her sweetheart, Sidney Smith including one in San Francisco as CES missionaries, and several in Utah as Addiction Recovery and Service missionaries. As a master teacher, each was a perfect fit for Bernice’s enthusiastic love of people and the gospel. 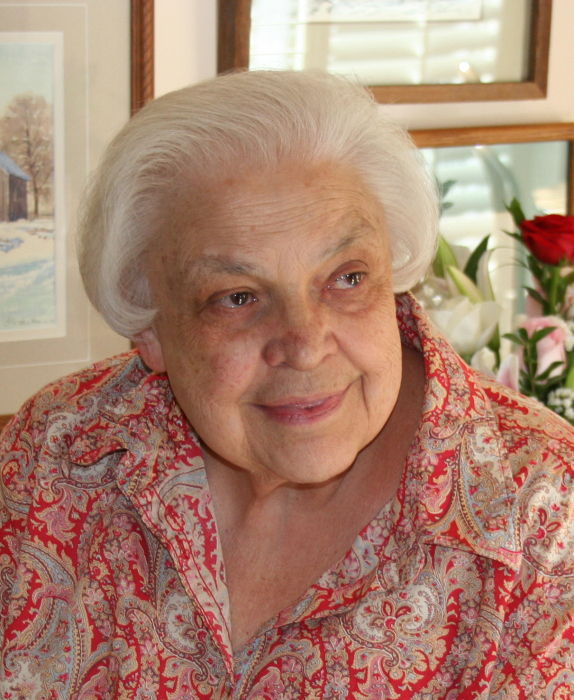 While a child, Bernice lived in many locations in Davis County, and attended Davis High School, graduating in 1954. Sid and Bernice were sealed in the Logan, Utah Temple in 1962. They eventually settled down in North Farmington to raise their family. They have three children, David, Holly, and Jennifer and welcomed two foster daughters, Glenna and Kathy. All went on to raise their own families--a key source of joy for Bernice. She thrilled with the successes of her grandchildren and great grandchildren, and was always available for wisdom and comfort. They looked to her as a primary source of love, inspiration and counsel in their lives. Deeply committed to her extended family, aunts, uncles and cousins were also a vital part of her life. Bernice enjoyed drawing, painting, sewing, writing, reading, gardening and anything that sparked her creative spirit. With a set of various musical instruments in the home, friends and family were often invited to participate in impromptu jam sessions with Bernice. They learned to appreciate many styles of music through her efforts to share. Most of all, she loved people and made it her life’s work to love and serve others. All who knew her have been blessed to be included in the circle of love humor and joy that she projected. Simply, being around Bernice meant being drawn into a warm light of love, wholesome work, and fun where you knew you were valued and Christ was the central answer to all questions. Those fortunate to know Bernice celebrate her new freedom and opportunities as she greets parents, siblings, and other loved ones, yet we will miss the rock in our lives that she presented with her love, humor, leadership and wisdom. Bernice is survived by her husband, Sidney Smith, children David (WendySue) Smith, Holly (David) Cowsert, and Jennifer (Brian) Felt, 17 grandchildren, and five great-grandchildren. She is preceded in death by her parents siblings a son-in-law and grandson. Funeral Services will be held on Monday, April 22, 2019 at 11:00 a.m. at the Farmington Sheppard View Ward, 729 Sheppard Lane, Farmington, Utah. Friends may visit with family on Sunday, April 21, 2019 from 6:00 to 8:00 p.m. at the Lindquist Kaysville Mortuary, 400 No Main Street, Kaysville, Utah and Monday, from 9:30 a.m. to 10:30 a.m. at the church. Interment will be immediately following at the Farmington Cemetery. The family requests that in lieu of flowers please send donations to Primary Children’s Hospital.